The representatives of Best SEO Agency understand that excellence in the search engine optimization sector is something that business owners should be kept informed about. 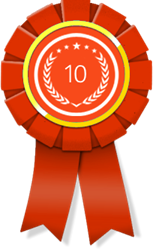 To make it happen, the company's professionals are proud to provide the public with a new monthly awards listing, 10 Best SEO, for February. 10 Best SEO is excited to launch an amazing award this month: "Best SEO Agency." The award acknowledges industry professionals based in New York, N.Y. who excel in providing clients with the dynamic, detailed, diligent SEO work that entails incredible results in terms of visibility and conversion. Businesses that topped February’s list are Youth Noise, SEO Image and Hudson Horizons. Youth Noise is one of the leading New York SEO businesses that utilize multiple advertising methodologies to help clients connect with their prospective customers in the online sphere. From keyword analysis to online reputation management, the company's techies will utilize all of the search engine optimization techniques necessary to take the client's site to the top of the search engine results. Additionally, the Youth Noise professionals maintain strong, ongoing relationships with the business owners they serve to ensure their 100% satisfaction with the marketing structure and its progress. Top SEO agency SEO Image is a New York-based firm that offers incredible PR and marketing services. As an organization that understands the power of image, the company's techies work with relentless determination and dedication to ensure that the business owner's online presence is optimized. Some of the dynamic strategies deployed to realize this objective include keyword analysis, online reputation management, link building, and target market research. The SEO Image professionals are also passionate about optimizing client/consumer connectivity across all relevant platforms. For cutting edge digital services that engender a substantive return on investment (ROI), team up with the passionate professionals of SEO Image. Hudson Horizons is a brand-building, New York-based SEO company that has worked with a wide range of amazing companies. Some of them include Leverage Medical Reps, Livably, Manhattan Institute of Allied Medical Training, Aligned Signs, Durable, Lackland Self Storage, Gizmotron, and Boys & Girls Club. In its efforts to serve as a leading SEO agency, Hudson Horizons offers a wide range of identity-enhancing online services, including e-mail marketing, content creation, lead generation, analytics, website development, logo design, responsive design, social networking, coding, mobile application development, and social media marketing. For more information, visit http://www.10bestseo.com.